Like other platform shifts, the emergence of the Web has opened the door for a new type of application that better serves the needs of business information systems and collaborative computing. Web-enabled business applications can handle everything from e-commerce to business process automation to dynamic information publishing on intranets, extranets, and the Internet. To leverage the advances in Web technologies, SDSC has developed an application framework to promote rapid Web application development. AFrame provides essential application command and control components in a database table driven environment. 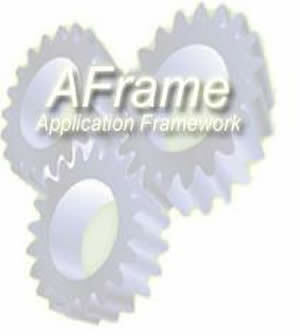 AFrame employs a Web browser to provide application functionality across an intranet, extranet or the Internet. The Web browser serves as the universal client for all end-users, staff and general public. The Web browser provides a rich graphical user interface without the need to install new software on the desktop, radically reducing the cost of application deployment and maintenance. At the same time, the browser enables an intuitive user interface that eliminates the need for expensive end-user training. The application framework has been designed specifically for Web-based justice information systems. The extensive use of code-driven logic, plug-n-play application components, context sensitive help and ready-built system management functionality all make AFrame the right choice for implementing a customized justice information system. By removing the need to re-develop the framework for each project, SDSC and its clients can concentrate on developing the specific business requirements for each project. • Define unlimited number of users and the pages thay may access. This allows the creation of many different methods and authority to access the system based on user needs. Take a tour through AFrame to experience a unique journey in Web Application Development!